Could the tragic events of Waco bring down the President and the Democrat machine after 20 years? 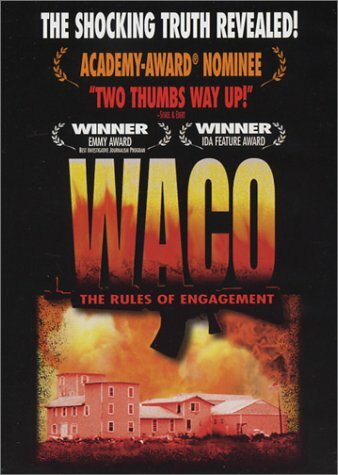 Mike McNulty, producer of the Emmy Award winning, Academy Award nominated documentary Waco: Rules of Engagement, and its follow-up films, Waco, A New Revelation, and The FLIR Project, believes it could. McNulty says that the close ties between the Waco atrocity and members of the Obama administration – including Hillary Clinton, Eric Holder, and powerful congressional Democrats, could unravel the administration and the entire Washington power structure. McNulty insists that Hillary Clinton in particular was deeply involved in the Waco debacle and in the multiple cover-ups that followed, and that criminal prosecutions could be brought against her and others, “There’s no statute of limitations on murder,” says McNulty. That’s a pretty dramatic allegation, but McNulty says that’s where the evidence leads, and no one knows the evidence of the Waco tragedy better than McNulty. He and his experts were given unprecedented access to the Waco files and evidence locker during the making of the documentaries, and they carefully catalogued what they found – including items that were incorrectly identified in the official records. The fact that so many of those responsible for directing the operation and its aftermath are still power-players in Washington, means that revelation of the truth of Waco could have devastating effects on the current power structure. Just the role of Obama’s close friend, Attorney General Eric Holder, in demonizing the Waco survivors, and leading the official cover-up – especially when aggregated with his more recent scandals – should end his career and the careers of several of his closest allies, and would disgrace the entire administration. Hillary Clinton’s role in the assault on the Davidian campus and its subsequent cover-up has never been fully disclosed. McNulty says that his information indicates that Mrs. Clinton was not only involved, but in command, directing the FBI’s actions from the White House, and leading the subsequent cover-up. The Texas Rangers have said that their objections to the destruction of the Waco evidence were squelched directly by the White House. Texas Governor Rick Perry would do well to sit down and have a candid conversation with those Texas Rangers and then seriously consider pursuing prosecutions. Somehow Mrs. Foster’s statement to the FBI has been almost totally overlooked by the media – and even by most of those insisting that his death was murder. The obvious question that never seems to have been asked is, why would Vince Foster, whose primary role in the White House was to support and protect the Clintons, feel responsible for the deaths at Waco? At the time of Foster’s death, the FBI ordered that his office be sealed as part of their standard homicide investigation, but at least 2 boxes of files were removed from Foster’s office and taken to the residence area of the White House. Those files were never recovered, and their removal from Foster’s office was never officially investigated. If the ghosts of Waco were to come home to roost, they would be sitting on the shoulders of some of Obama’s closest friends and allies in Washington – all of them outspoken advocates for citizen disarmament. This 20-year old atrocity could be the key to bringing down the whole house of cards. McNulty has recently released a 20th Anniversary DVD twin-pack containing both Waco, A New Revelation, and The FLIR Project, and he’s actively searching for financial backing to make a follow-up documentary chasing down the lost evidence and exposing details of the extensive government cover-up. If he can secure the funding – and survive – McNulty believes he can finally force some accountability for the atrocity. The 20th Anniversary DVD set is available from our friends at Jews for the Preservation of Firearms Ownership (www.JPFO.org) or directly from McNulty on his web site at www.CopsProductions.com. Copyright © 2013 Neal Knox Associates P.O. Box 3313, Manassas, VA 20108 http://www.firearmscoalition.org All Rights Reserved Non-commercial copying or redistribution is encouraged so long as this statement and the above contact information are retained. Previous article by Jeff Knox: The Most Awful Tyrant in America?